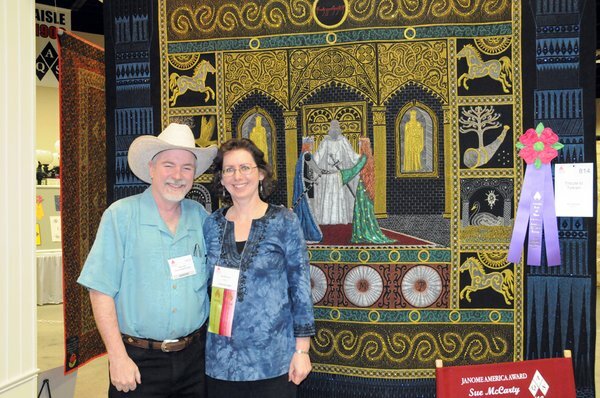 Sue McCarty's quilt, Tribute to Tolkien has won Best of Show at the 2010 Ameican Quilter's Society Show and Contest. 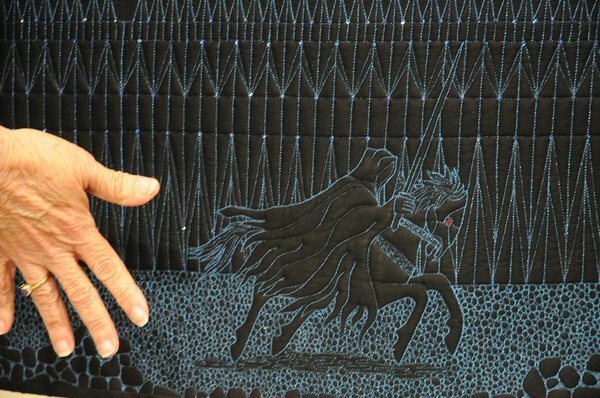 Sue's quilt is a whole cloth quilt, with some painting, but mostly, it is all stitching withe metallic threads. 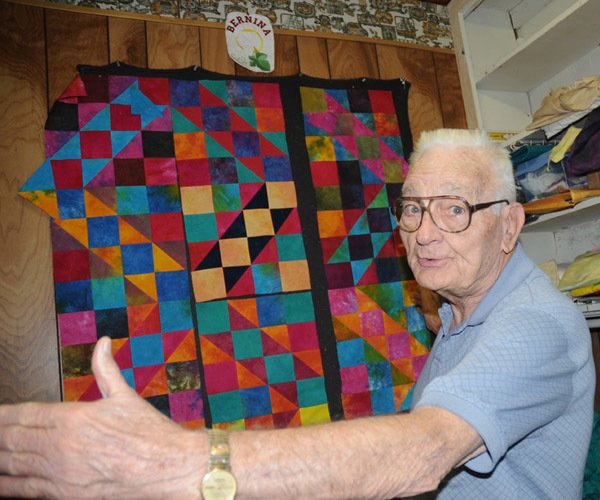 The entire quilt was created on her Gammill long-arm quilting machine. Notice the scale of stitching. The assistant was not touching the quilt, but her hand is about 2 inches away. Such detail! Sue has been quilting for 6 years! Are you jealous? 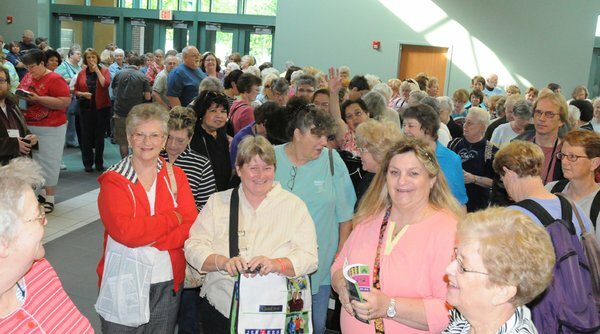 We're on route to the AQS quilt show in Paducah, Kentucky. 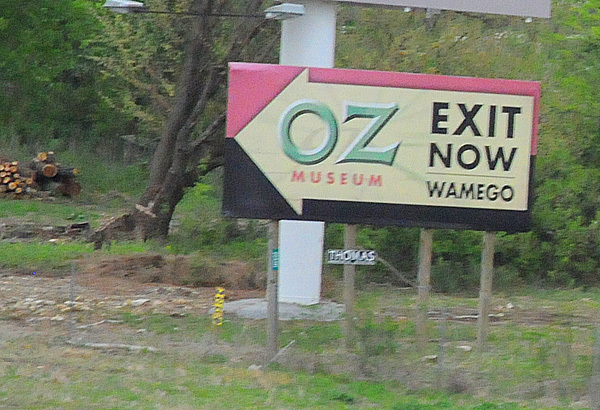 That means we get to traverse through Oz. When I was a kid it was on TV each year and it was a really big deal to watch the movie. I remember when my aunt and uncle got a color TV we went to their house to watch it in color. Driving across Kansas you can't help but recall the movie because there are so many reminders. Some day I'll take one of the exits and see some of the sights, but most of the time when we're blowing through Kansas, we're on a mission - to get to Paducah. What do you remember most about the Wizard of Oz?